Just the other day, I was doing some groceries shopping at the neighbourhood supermarket and saw some beautiful fresh blueberries. I couldn't resist taking 2 packets and placing them into my shopping basket. Back home I was thinking whether to bake a blueberry cake, cupcakes, muffins or simply just pop them into the mouth enjoying the fruit. Ah~~ the Baking Bugs won and won. Plus the thought of baking using my latest kitchen gadget, Philips Avance XL Airfryer, its just too much fun to resist. I am using a recipe that uses the oven to bake the muffins, I set the same timing as indicated in the recipe on the airfryer and they turned out beautiful. Of course I have to admit I was a little bit worried and opened the basket 15mins into baking to check (and of course to take photos). They tasted as good as it look! 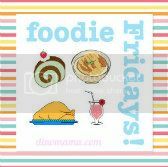 Till the next Foodie Fridays post, have fun baking and cooking! 2. 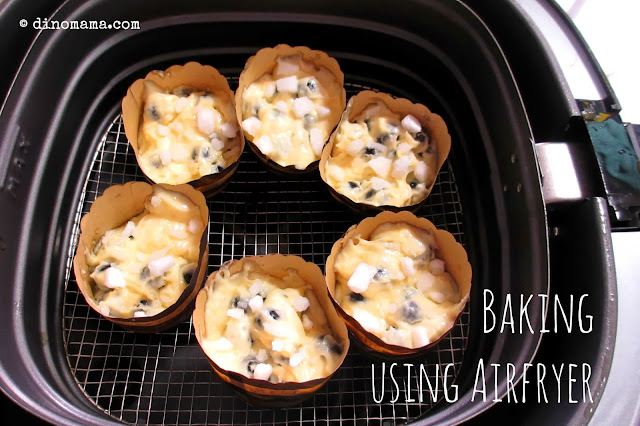 Place paper cases in a 12 hole muffin tin. 3. 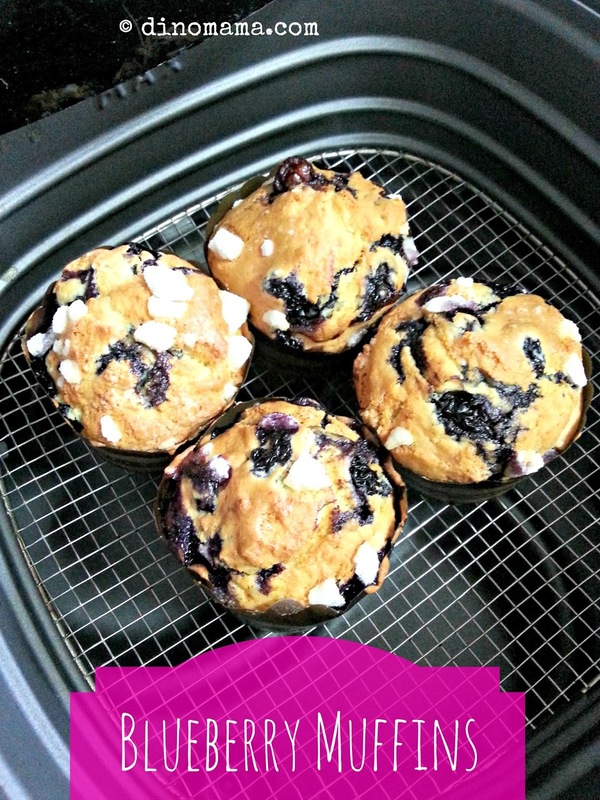 Toss the blueberries in 2 tablespoons of flour then set aside. 4. 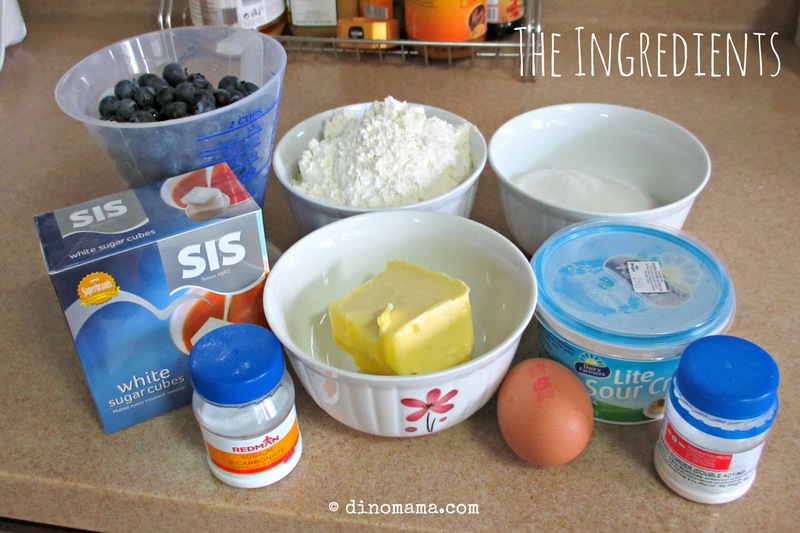 Beat the butter and sugar together in a mixing bowl until light and fluffy, add in the egg , beat and mix well. 5. Sift in the flour, baking powder, bicarbonate soda and salt. Stir until just combined. 6. Gently stir in the sour cream and blueberries. 7. Spoon into the paper cases and sprinkle with the crushed sugar cubes. 8. Bake for 20mins until the muffins are golden and springy to the touch. 9. Place on a wire rack to cool completely. That is one interesting piece of appliance! Yupe =) Small gadget with multiple functions.